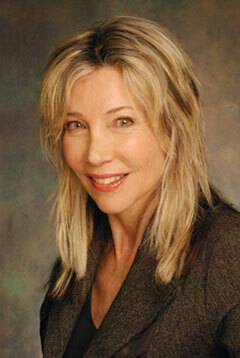 Journalist and best-selling author, Linda McQuaig, will give the 2012-2013 W. Stewart MacNutt Memorial Lecture at UNB Fredericton on November 28, 2012, and UNB Saint John Nov. 29, 2012. McQuaig is the author of nine Canadian non-fiction books, seven of which were national bestsellers, including The Trouble with Millionaires (2010), which she co-authored with Neil Brooks. She's written for the Globe and Mail, National Post and Maclean's Magazine, to name but a few. She has been awarded the National Newspaper Award for Enterprise Reporting (1989), won an award from the Centre for Investigative Journalism for a series of articles that led to the imprisonment of Ontario political lobbyist, Patti Starr, and was the winner of the Atkinson Fellowship for Journalism in Public Policy (1992). McQuaig's lecture, 'The Trouble with Billionaires: How Extreme Inequality Thwarts the Common Good', will take place at 5:30 pm in Tilley Hall, Room 102 at UNB Fredericton on Nov. 28; and Hazen Hall, Room 239 at UNB Saint John on Nov. 29. In the last few decades, there has been a massive transfer of income and wealth from the middle and lower classes to the richest Canadians, creating the highest level of inequality in Canada since the 1920s. Such concentrated economic power at the top reverberates throughout society, threatening the quality of life of its citizens and the very functioning of democracy. The surge in inequality in Canada (similar to the pattern in the US and Britain) is the product of deliberate policy choices that have favoured the wealthy, while cutting social benefits and reducing protections for workers. Both lectures are open to the public and will begin with a reception at 5 p.m.
For more information on the Fredericton lecture, contact Carolyn Williston-Aubie. For more information on the Saint John lecture, contact Sharon Smith.